Step 1 - Align the dirty water bucket onto the two pins inside the bottom of the 26 or 35-quart bucket. Press down on the dirty water bucket to ensure it snapped onto the pins securely. Step 2 - To lock the dirty water bucket in place, turn the lock as shown in the picture. 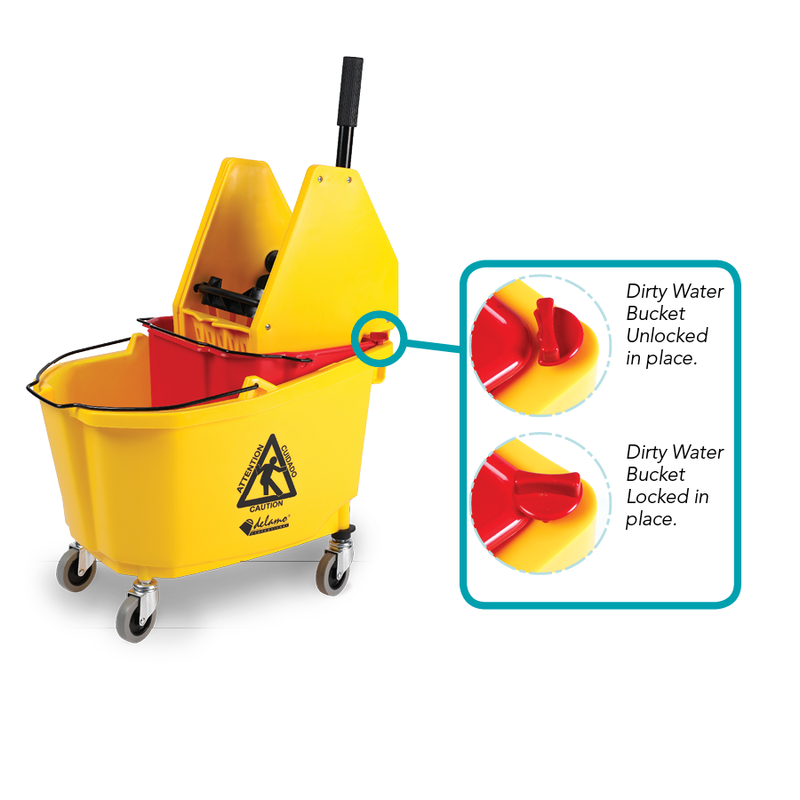 Step 3 - Position wringer on the bucket to mop with your new 26 or 35-quart combo and dirty water bucket. Now, you can keep dirty water separate from clean water to extend cleaning solution strength and clean floors more effectively. Lock installation required. Lock and Instructions included with purchase of 8021-KIT/8022-KIT. carton weight 11.1 (8021/8024) lbs.